Model Railroading: Are We Twenty-First Century Limited? I’m amazed at the number of people who pay good money to buy really old stuff from me. In most cases though, those who buy the old stuff are…well, older. They see an intrinsic value in items made of die-cast metal, brass, and wood, often from kits where one must actually read and understand written instructions to achieve a successful outcome. 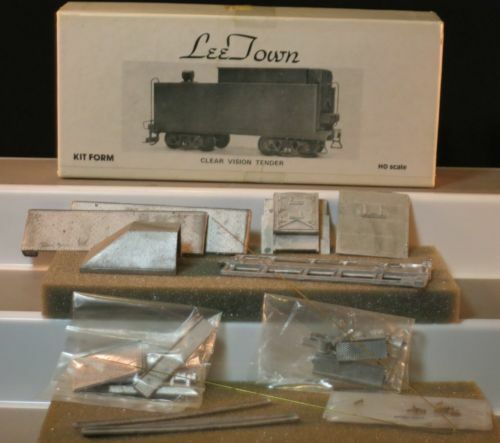 A typical vintage die-cast kit in HO Scale, requiring skills such as soldering, filing and drilling…and lots of patience. Modelers are increasingly interested in a “Plug and Play” approach to the hobby; they prefer out-of-the-box locomotives with embedded decoders that operate via laptop or smart phone. These locos have lights and sound and even smoke! While my Dad purchased a few of these, he wasn’t fond of them; perhaps because he didn’t understand how they worked and wasn’t interested in finding out. Hence the reason why many are concerned that the hobby is dying. I can see that; how many of us have lived long enough to dream of travel by rail? Not me! And if not, how many are curious about it? Imagine, for example, taking the New York Central’s 20th Century Limited overnight passenger train in its heyday (1930s – 50s), which left Grand Central Station in NYC arriving in Chicago’s LaSalle Street Station in 16 hours. 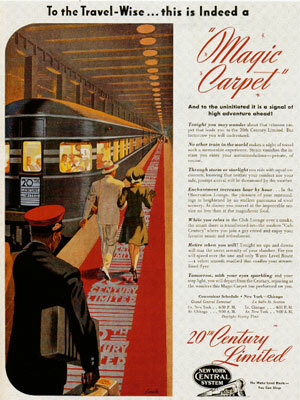 To enter the train, you would walk a football-field length of plush red carpet, rolled out just prior to boarding. This is the very path that became the origin of the term “walking the red carpet.” After finding your bedroom and “freshening up” in your formal business attire (imagine that! ), you might wander down to the Observation car for a cocktail and later, dine in the Century Club car while watching the Hudson River pass by. Room service. Porter service. Pullman style. I can’t even think of a contemporary comparison, as the trappings of this kind of luxury travel have been scaled for the masses. If you’ve ever taken a cruise or flown business or first class, you know what I mean; it’s nice, but it’s not exclusive. 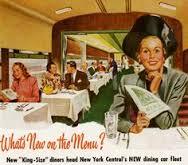 The 20th Century Limited was elite, expensive and out of reach for most. I am old enough to remember having to dress up to travel by air. Of course I was a baby then. Now air travel is worse than bus travel; it’s stressful and uncomfortable at best. Yes, I have traveled by train—for several miserable years on a large commuter railroad in metro NY City. Having also traveled the subway during rush hour, I know how cattle feel crammed together in an idle stock car on a hot summer day. Not so glamorous! My Dad spent his first career as a machinist in the Brooklyn Navy Yard; he spent his second career as an Industrial Arts teacher. Today few high schools teach “Shop Class” which covered woodworking, metalworking, and electronics; these are the foundations of how to build and fix things. The Industrial Arts connect what students learn in math, science, and programming with real world, practical applications. A friend of ours is a union electrician in his late 40s. He complains that new apprentices neither own nor know how to use hand tools. Seriously. If a single screw needs to be placed, they take out a power screwdriver!? So then why would any young person want to build a model train from a kit–by hand–when they can buy one with lights, sound and smoke? Better yet, why not build a working layout on a tablet using 3D imaging and gaming tools? Hey, isn’t there an App for this? Yes, model railroading may indeed fade away over time as those who dreamed of trains pass on. What concerns me in this digital age is how we have lost touch with the tangible world; the world of craftsmanship, and with it the feeling of accomplishment one experiences from creating something by hand from raw materials.